March 8 Gift to a friend with her own handiwork. A gift to her friend with her own handiwork. 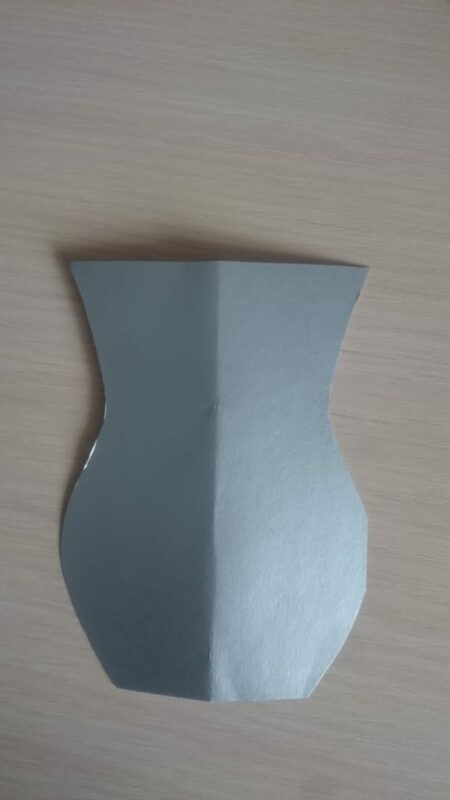 Take the cardboard, fold it in half and cut it into two identical pieces. It turned out two halves, we need only one half. We take the cardboard of a different color. 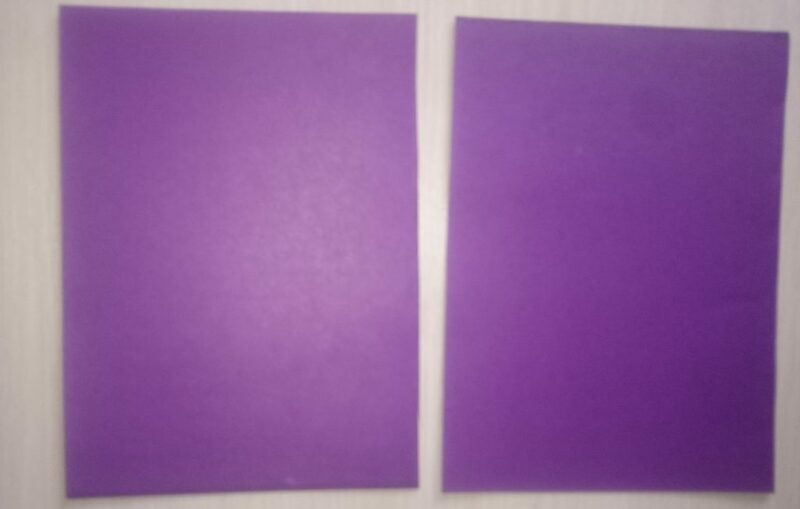 The color of the cardboard of your choice. 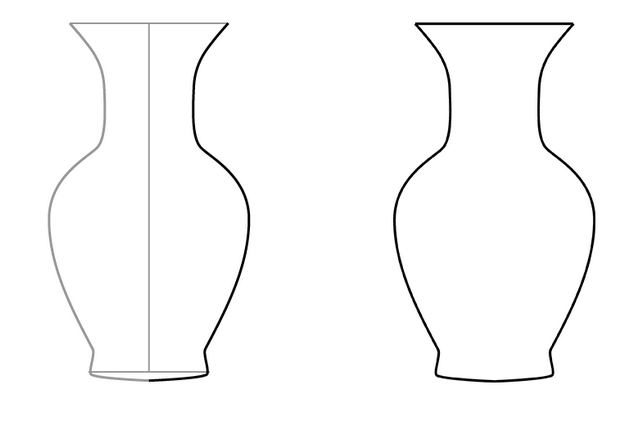 Draw on it from the back side of the vase and cut out. 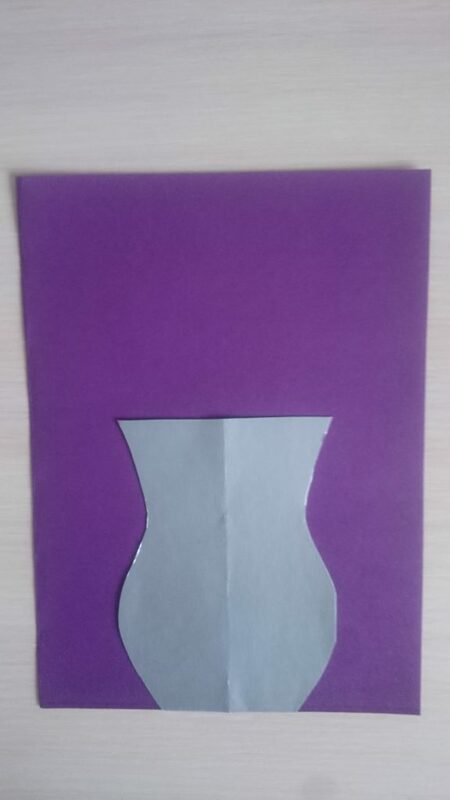 Now take the glue and glue the vase onto a piece of cardboard, which we divided in half at the very beginning of our craft. 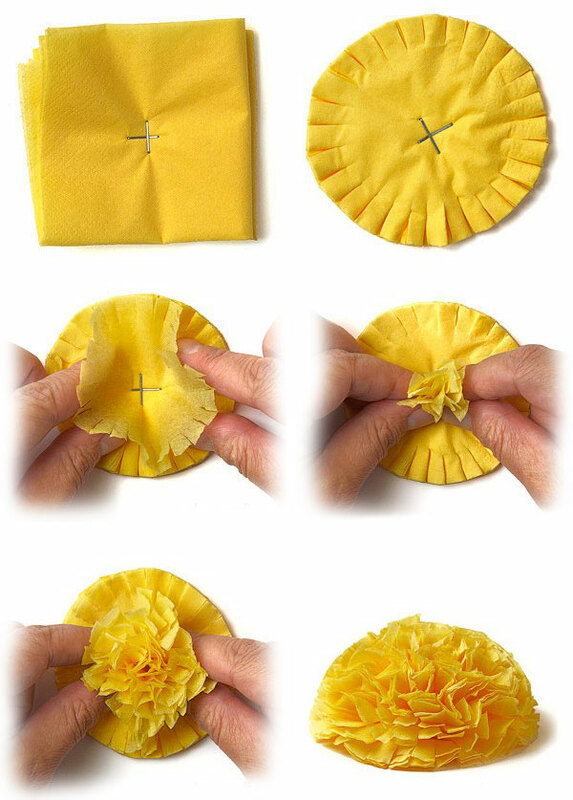 Our next stage of the gift is to make florets. The number of colors for a friend at your discretion. I need only three flowers. 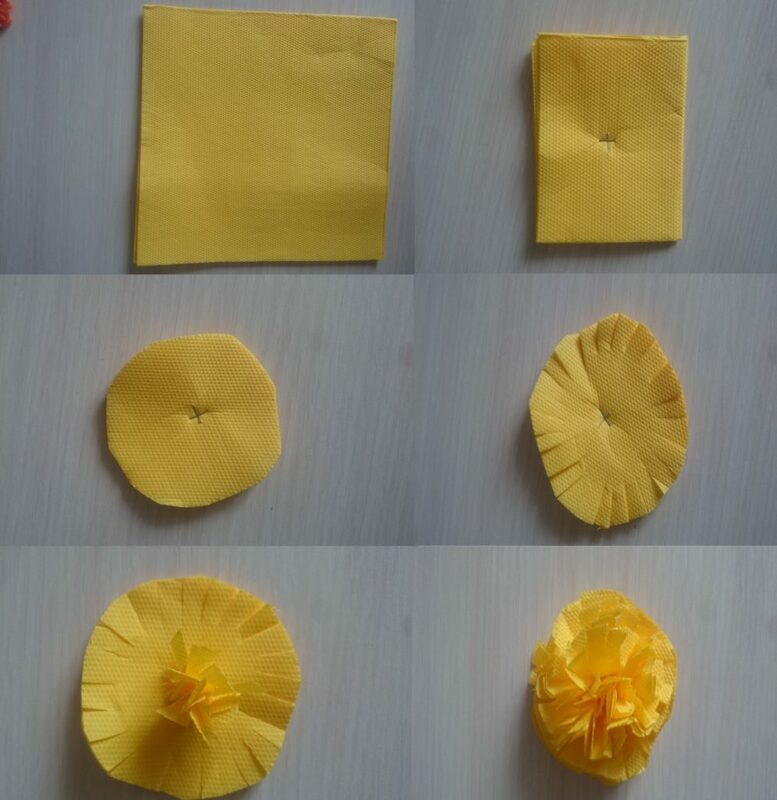 - We take a napkin, fold it in half, thenOnce again in half - in the middle we fix with a stapler - from the square we make a circle - we make small cuts along the edge, we collect each layer in a circle in turn. 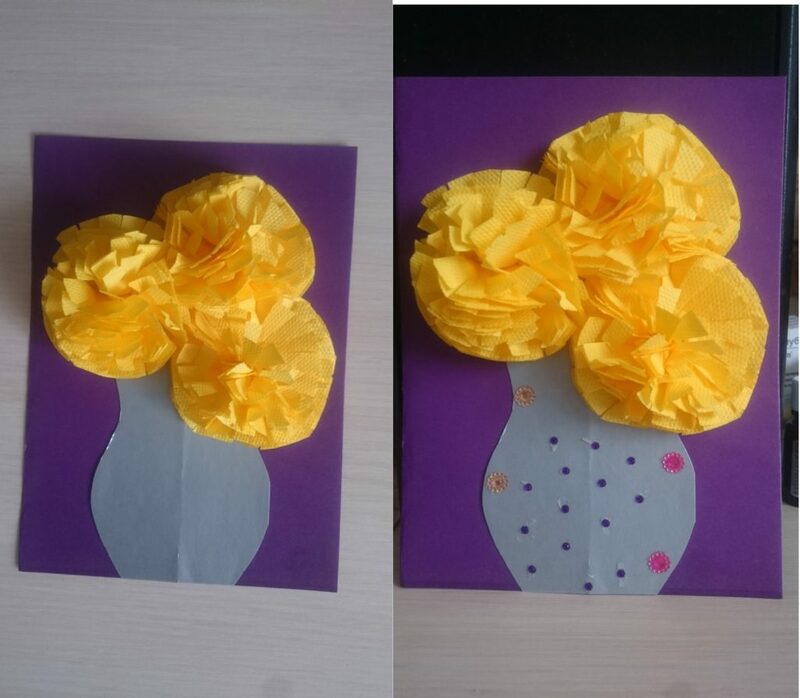 We need to paste the flowers made to the craft. The vase can be decorated with rhinestones, or decorated with felt-tip pens (pencils). All at your discretion. I put my soul into the craft, because it is made for my beloved friend for my own gift! 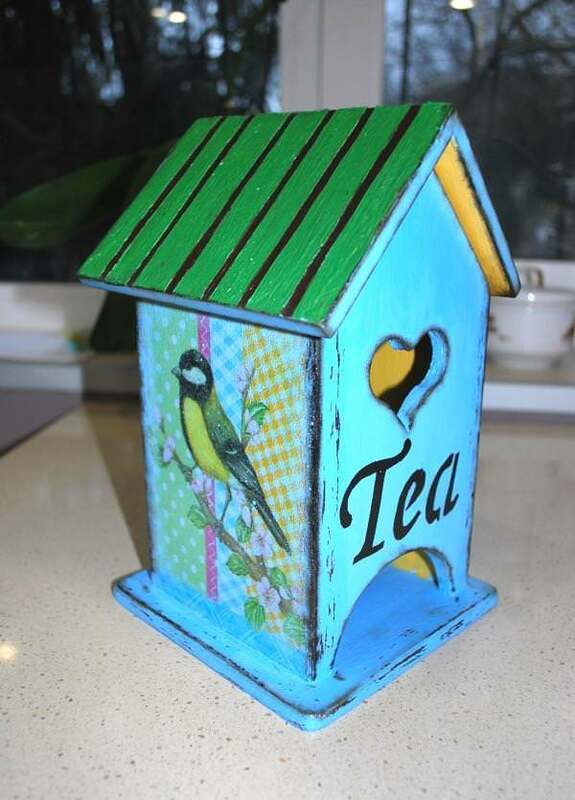 Tea house decoupage: kitchen work by own hands An odd job at the kindergarten by May 9 with your own hands. Tank master class How to make a gift to mom with their own hands. 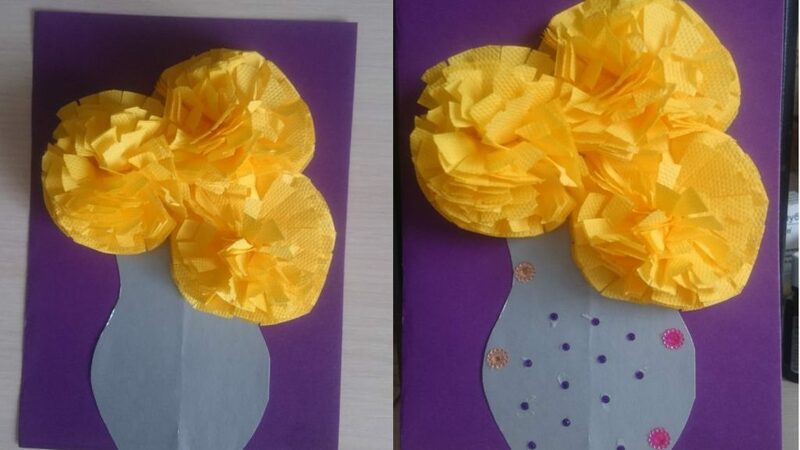 Ideas for crafts for mother's day. Crafts made of chestnuts and acorns with their own hands. How to make a box. Handicrafts from the boxes.